Sources say Abdelhamid Abaaoud, the ringleader behind the Paris attacks, had plans to strike Jewish targets. Abdelhamid Abaaoud, the ringleader behind the November 13 attacks in Paris had plans to strike Jewish targets and to disrupt schools and the transport system in France, sources close to the investigation said Friday, according to Reuters. Abaaoud, a Belgian national of Moroccan origin, also boasted of the ease with which he had re-entered Europe from Syria via Greece two months earlier, exploiting the confusion of the migrant crisis and the continent's passport-free system, the sources added. 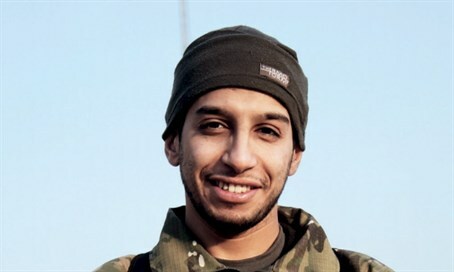 Abaaoud died on November 18 in a shootout with police in St. Denis north of Paris at an apartment where he had been staying. The comments by the officials confirmed excerpts from a confidential police witness statement leaked to a French magazine this week. The witness statement, quoted in the Valeurs Actuelles weekly magazine, describes how Abaaoud approached his cousin Hasna Ait Boulahcen, who was also killed in the shootout with police, two days after the killing spree, asking her to hide him while he prepared further attacks. Speaking of the planned future attacks, Abaaoud told his cousin on November 15 that "they would do worse (damage) in districts close to the Jews and would disrupt transport and schools", the witness statement said. Abaaoud said he would give Boulahecen 5,000 euros ($5,289.50) to buy two suits and two pairs of shoes for him and an unidentified accomplice to "look the part" in a planned attack on Paris' commercial district La Defense, according to Reuters. Paris prosecutor Francois Molins confirmed on Tuesday the jihadists had been plotting to attack La Defense on November 18. Reuters had previously reported the planned attack. The witness statement also described how Abaaoud had boasted about slipping into Europe with refugees fleeing Syria's civil war and then spending two months in France undetected prior to the November 13 attacks. The targeting of Jews is nothing new in France, of course, where the Hyper Cacher kosher supermarket was targeted in January, several days after the attack on the offices of the Charlie Hebdo magazine. One of the targets of the November 13 attacks was the Bataclan concert hall, which was owned by a Jew until two months ago. The former owner, Joel Laloux, dismissed suggestions that the venue was targeted because of his family's Jewish roots, saying he believes the jihadists chose it simply because they were sure it would be full.